ES02 is a convenient remote switch kit designed by silverstone to wirelessly turn on / off and reset a computer. 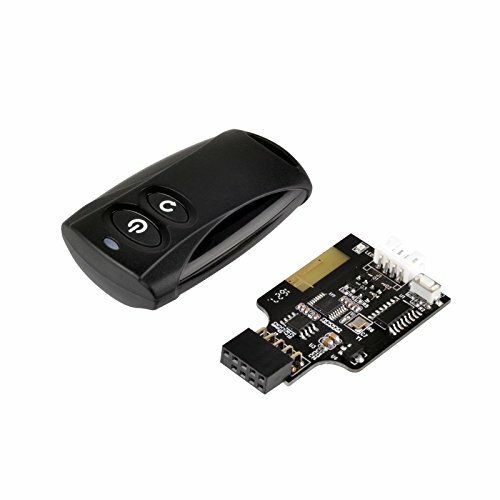 By utilizing existing standard 2.4GHz RF wireless technology, USB 2.0 internal 9 pin connector, and power / reset pin headers on a motherboard, the ES02 kit is easy to install and use within 20 meters of a connected computer. An included Y cable ensures your computer case's own power and reset buttons can be used concurrently with the ES02 if needed. Users looking for a simpler security solution than software access control will find ES02 to be a good alternative. Those with computers located in hard to reach area or has special usage scenarios will also find the ES02 to be very handy.